SOMETIME in the late 90s, my mother, for a week, complained about her itchy eyes. She said it was so severe she wanted to scratch her eyeballs out. So my father brought her to his ophthalmologist to get a complete eye checkup. It was only then that she found out her right eye had already gone completely blind. There was no warning at all, except for the burning itch. She said she didn’t even notice that her right eye was no longer working, perhaps because her left eye was compensating for the loss of vision. The ophthalmologist told her it was glaucoma. And her blindness was irreversible. According to the Philippine Glaucoma Society, glaucoma “is a group of diseases that cause gradual destruction of the optic nerve. The optic nerve is the cable that connects the eye to the brain. Optic nerve damage causes shrinking of the visual field and, eventually, blindness.” There is still no drug in the world, nor laser eye procedure to reverse the blindness from glaucoma. Mercifully, Mama’s left eye remains unaffected, but she needs to regularly use a set of expensive eye drops to keep the glaucoma at bay. She goes to have a regular checkup every six months to monitor the intraocular pressure in her remaining good eye. Unless you have been talking to her for a long time, you will likely not notice that Mama can only see in one good eye. As she is still a sprightly 84, people are always surprised that she seemingly goes about her usual activities without difficulty. She walks to the nearby chapel for Sunday Mass, plays mahjong, goes to monthly lunches with her amigas, and shops in the mall with her best friend. Truth be told, she probably makes lakwatsa more than her daughters. Still, being blind, even if it’s just one eye, is no stroll in the park. Since glaucoma is an inherited disease, I have been getting regular eye screenings from the Asian Eye Institute at Rockwell, Makati (and lately at its TriNoma branch) since 2003, when I turned 38. I undergo tests to monitor my eyesight, peripheral vision, and any marked changes in my eyeballs, the pressure within, and the optic nerves. Needless to say, its doctors are top notch, having gone to the best schools and having been trained extensively here and abroad. Many of them are fellowship graduates of the Harvard Medical School. And hurrah! it has a satellite clinic in Quezon City, where I reside. How could I not appreciate that kind of thoughtfulness from its owners? Already then, she told me then that I needed to have a procedure done called YAG Laser Iridotomy, that would create a new path for the fluid in my eye to drain out. If I didn’t have the surgery, some time in the future, there was no telling exactly when, those drainages would totally close off, and the pressure in my eyes would build up, eventually killing my optic nerve. It scared me, and I wasn’t particularly enthusiastic at the thought of a laser poking my eye. So of course, I hemmed and hawed about getting the procedure done. The cost also made me hesitate as well. But every time I had my checkup, the good doctora would remind me to get the surgery done. So two Mondays ago, after years of stalling, I finally went to AEI Rockwell for my YAG LI procedure. I must admit, I was quite a bit nervous. You don’t know how many Rosaries I prayed and how many times I spoke to God in my head pleading for a successful operation. I also texted a select group of friends – my Prayer Warriors – seeking prayers to make sure Dr. Veloso’s aim with the laser was going to be flawless. Sure it was just an out-patient procedure, but heck, this was still my eyes we were talking about! I needed the Big Guy upstairs on my side as well. So there I was in the waiting room at AEI on Monday morning, with Big Sister in tow – I was told to have a companion with me as my vision might not be 100 percent clear yet after surgery. After being checked by an ophthalmologist for my vision and eyeglasses (there was a possibility my eyeglass grade might change after the laser procedure), I was ushered to a pre-op waiting room. Medicines were dropped on my eyes every five minutes to constrict my pupil, then finally two drops of local anesthesia. With five short bursts using the laser, Dr. Veloso literally punched a tiny hole in each of my irises. I will not lie – I felt some pain while she did that – though it was tolerable. On a scale of 1 to 10, the pain was about a 2.5. Try flicking your fingers against your skin (“pitik”), and that is what it felt as the laser hit my eye. The entire procedure was actually quick – we were done in about 10 minutes – and I came out of it with my vision a bit dim, with a slight headache, which I was assured was normal. After a few more post-op medicine drops on my eyes, and a short wait, Dr. Veloso finally checked my eyes again to see if there were any changes in my eye pressure, which sometimes happens in some patients. There were none. She pronounced the surgery a success. Whew! After surgery, I had to regularly use some anti-inflammatory eye drops to make me heal faster. My vision had lightened up by the evening of surgery day. And yes, well, I started abusing my eyes almost immediately - watching TV, going back online already, tweeting, reading, and posting stories on Facebook. Except for a migraine that made me rush to the doktora earlier than my scheduled post-op checkup (okay, so I probably ate too much cheese-sue me! ), I’ve recovered pretty well. On Tuesday, or a week after my surgery, Dr. Veloso checked on my eyes again and said the new channels were holding up well. (Apparently in some few cases, they shrink, so the patient needs another surgery.) 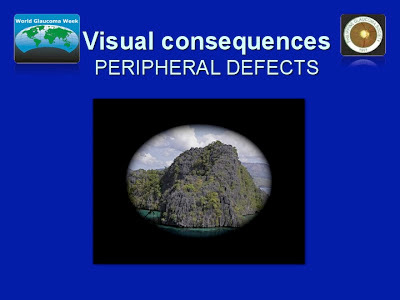 The intraocular pressure in both eyes was also very normal. When doktora said, “you’re okay, Stella!” I was ecstatic. It was like being given a new lease on life. So, yay! To be candid, the procedure doesn’t completely eliminate the possibility that at some point in the future – knock on wood! – I would still get glaucoma. In my checkup in January, the tests showed I had a pale optical nerve. Dr. Veloso explained, I just have a genetic predisposition to the condition, so we still have to be vigilant. 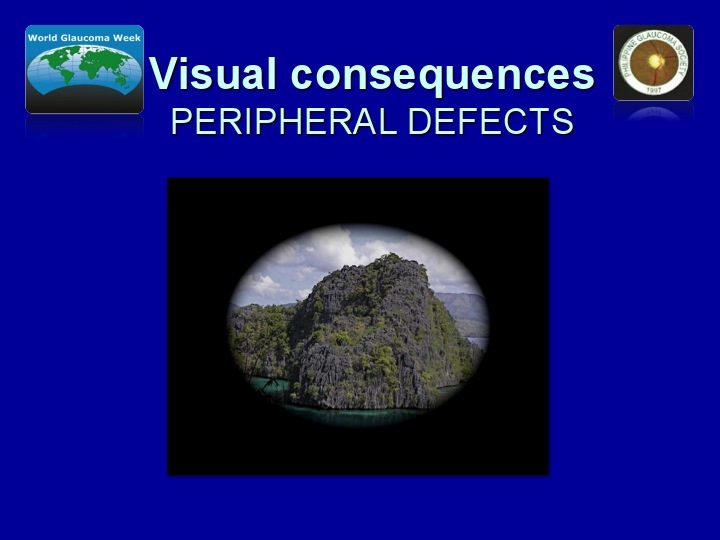 I would still have to go for regular monitoring of my eye pressure and peripheral vision, every six months. But for now, all is well. So thank you Lord! In most cases, PGS said, glaucoma has no symptoms, and as Mama said, all she felt were her itchy eyeballs. She didn’t know if they had a family history of glaucoma, so she never had a reason to get a regular eye checkup. 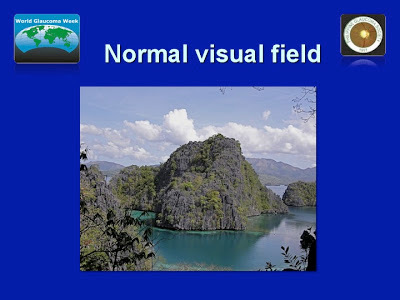 “Because the vision loss starts at the edges of the visual field (peripheral vision) and occurs gradually, many glaucoma sufferers do not realize that there is a problem until they have lost a large area of their vision,” said the PGS. So please, if you think you are at risk for glaucoma, get screened now. Save your vision. 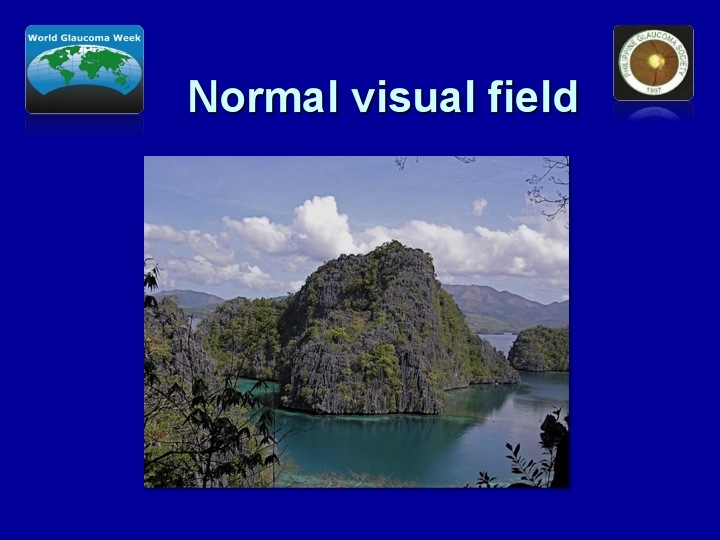 To know more about glaucoma, visit the Philippine Glaucoma Society. 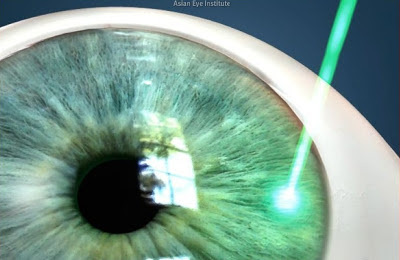 For more information on the Asian Eye Institute, click www.asianeyeinstitute.com.